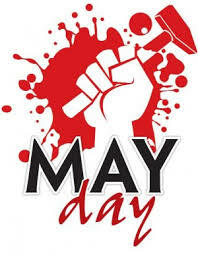 Yesterday was May Day around the world – the one day when the world’s most social/commun-ist minded people celebrate the forms of government that renders the common man so much worse off than they otherwise would have been. While both Chile and Venezuela are democratic republics with mixed economies, Chile has a far greater level of market integration. HumanProgress.org’s ranking of economic freedom (based on the level of government intervention) lists Chile as the 10th freest economy in the world, leading South America. Venezuela, however, ranks last in the world. Venezuela and its Chaveznistas have been so successful that the oil industry is in shambles, people are starving and even toilet paper is scarce. A May Day march in Portland, Ore., “devolved into a full-scale riot with random acts of vandalism” by anarchists late Monday, police say. Attacks on police and emergency personnel resulted in 25 arrests. Molotov cocktails, smoke bombs and other items were thrown at police, according to member station Oregon Public Broadcasting. This entry was posted in Economics and tagged Capitalism, Chile, May Day, Venezuela. Bookmark the permalink.